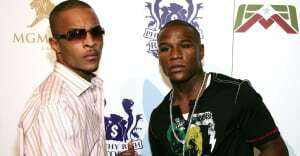 17 tracks from T.I.’s group. Last week, T.I. and other members of Bankroll Mafia started hinting that the group was planning to release something today. That turned out to be two somethings: the video for “Smoke Tree” and a whole new album from the group just in time for the weekend. The full-length contains 17 tracks, and includes rapping from T.I., Young Thug, Shad da God, London Jae, Peewee Roscoe, Quavo, Offset, and more. On Instagram, T.I. wrote “WE Gone⬆️!!! !” You can buy Bankroll Mafia on iTunes.